Explore Miami's surroundings by going to JP Outfitters Inc. (in Hollywood), iFLY Indoor Skydiving - Fort Lauderdale (in Davie) and Shark Valley (in Everglades National Park). 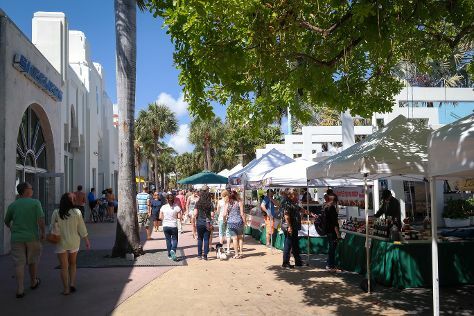 There's still lots to do: tour the pleasant surroundings at South Beach, head outdoors with Venetian Pool, enjoy some diversion at Lock & Load Miami, and let your taste buds guide you at a local gastronomic tour. To find where to stay, other places to visit, ratings, and tourist information, go to the Miami trip itinerary planning app . Zurich, Switzerland to Miami is an approximately 12-hour flight. You can also do a combination of train and flight; or do a combination of train, bus, and flight. The time zone difference when traveling from Zurich to Miami is minus 6 hours. When traveling from Zurich in August, plan for a bit warmer days and warmer nights in Miami: temperatures range from 38°C by day to 30°C at night. Wrap up your sightseeing on the 8th (Thu) to allow time to travel to Las Vegas. Miami Beach, Coral Gables, iFLY Indoor Skydiving - Fort Lauderdale, Aventura Mall, JP Outfitters Inc. When in Las Vegas, make a side trip to see Hoover Dam in Boulder City, approximately 50 minutes away. 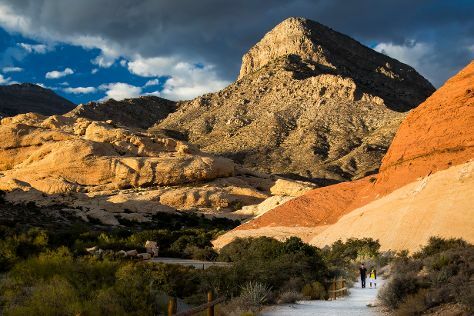 There's still lots to do: explore the stunning scenery at Red Rock Canyon National Conservation Area, take in panoramic vistas at High Roller, see the interesting displays at The Mob Museum, and admire the natural beauty at Bellagio Conservatory & Botanical Gardens. For other places to visit, photos, traveler tips, and tourist information, use the Las Vegas itinerary maker app . You can do a combination of bus and flight from Miami to Las Vegas in 8 hours. Other options are to drive; or take a train. Traveling from Miami to Las Vegas, you'll gain 3 hours due to the time zone difference. Expect a bit warmer weather when traveling from Miami in August: highs in Las Vegas hover around 45°C, while lows dip to 29°C. Finish up your sightseeing early on the 15th (Thu) so you can travel back home.